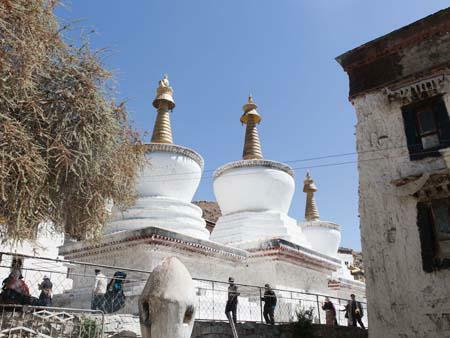 We drove about two hours from Gyantse to Shigatse, Shigatse is Tibet’s second largest city and the main attraction is Tashilhunpo Monastery. 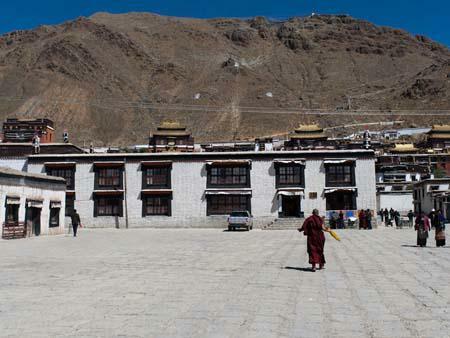 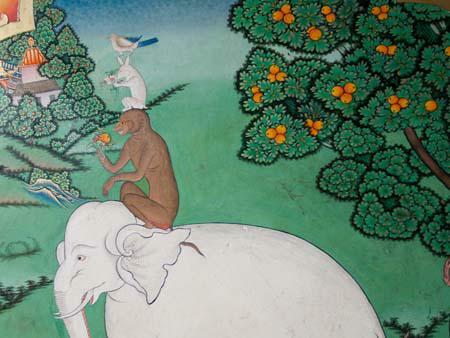 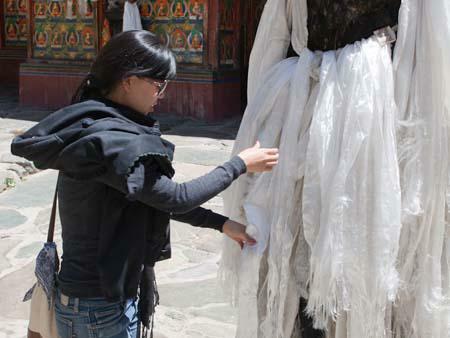 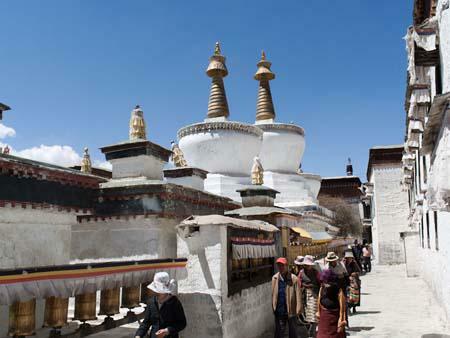 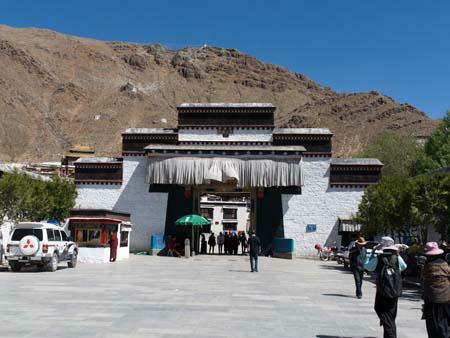 Tashilhunpo Monastery is very similar to previous Gelugpa (Yellow Hat sect) monasteries we had visited, the drawcard though was a large twenty-six meter high statue of Jampa (Maitreya), the Future Buddha. 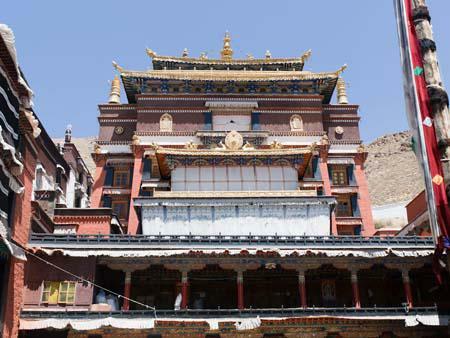 Housed in the Chapel of Jampa (Jamkhang Chenmo), the gilded statue is the largest in the world. 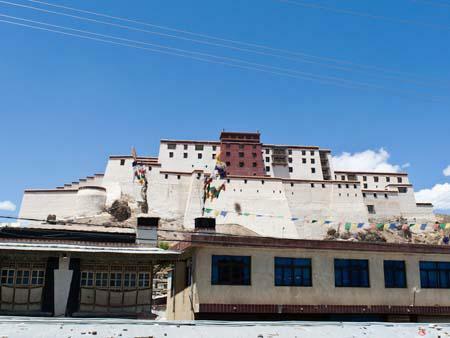 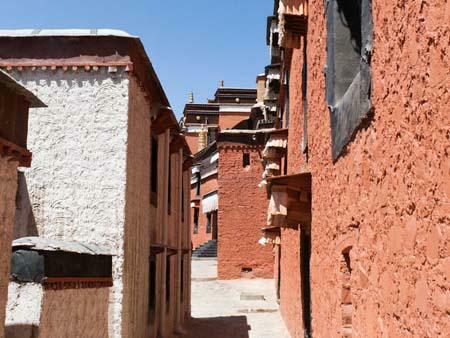 Similar to the Gyantse Dzong, Shigatse Dzong sits on a hill overlooking the town. 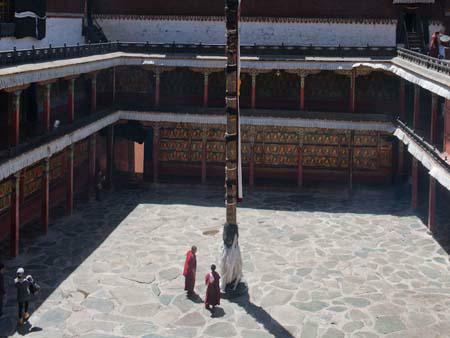 It strangely resembles the Potala Palace in Lhasa, only smaller, our guide shared a story in which the design of the Potala Palace was drawn on a banana leaf, and when it was transported to Shigatse for reproduction, it had shrank.